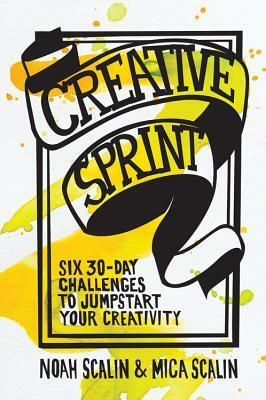 Creative Sprint is a workbook featuring six 30-day sprints full of prompts to get you drawing, journaling, taking photos, making collages; anything creative that you choose to do! Challenge yourself to a new type of exercise with Creative Sprint! This interactive workbook is filled with 30-day challenges designed to build your creative muscles. Follow along with prompts to get you drawing, journaling, taking photos, and making collages - doing anything creative that you choose to do! Each sprint comes with a theme, like Think Small, Work with the Unexpected, and Embrace Limitations. Throughout the book you’ll find features focused on fellow sprinters, as well as inspirational quotes. Best of all, each sprint ends with a recap that encourages reflection.